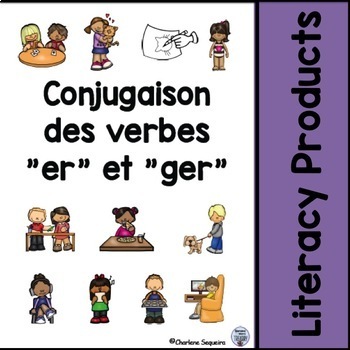 conjugaison des verbes "er" et "ger"
Included in this product are some samples of “er” verbs and “ger” verbs and how they are conjugated for the various pronouns. These are the verbs given. 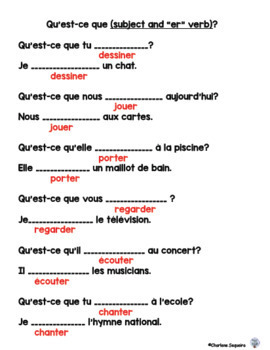 Qu’est-ce que (subject and “er” verb)? 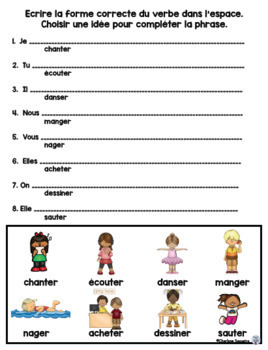 For this activity the student chooses the correct form of the verb to agree with the pronoun given. The next activity has a given pronoun and verb. The student must choose the correct form of the verb and complete the phrase with an idea. The verbs are shown in a box below with images to go with them. The third activity has a given pronoun and an idea. 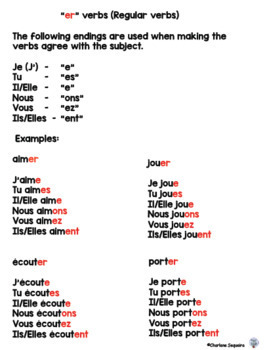 The student must choose the verb that fits with the idea and write it in the correct form to agree with the pronoun. The verbs are shown in a box below with images to go with them.